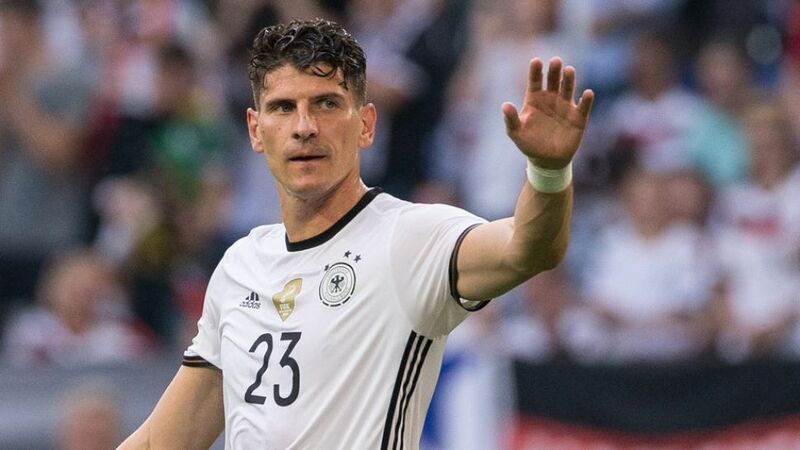 Germany international striker Mario Gomez has joined VfL Wolfsburg, returning to the Bundesliga after a three-year absence. Think Mario Gomez could be a good addition to your Official Fantasy Bundesliga team? Just click here to draft him in! Gomez, 31, joins the Wolves from Italian Serie A side ACF Fiorentina, although he spent the 2015/16 season on loan at Besiktas JK in the Turkish Super League. "I'm looking forward to the new challenge," Gomez told the Wolves' official website after joining. "The discussions with [sporting director] Klaus Allofs and [head coach] Dieter Hecking were very good. I'm very happy to be returning to the Bundesliga. I'd like to play in Europe with VflL and I'm convinced we can do so." "In my opinion, Mario is Germany's best striker," said Hecking upon confirmation of the frontman's move. "His success and goal record speak for themselves. On top of that, he has the qualities of a leader and has clear objectives, which go hand in hand with ours. He's an excellent fit for our team and the club." Gomez won the Bundesliga in 2007 with VfB Stuttgart, his hometown club who he represented for six years between 2003 and 2009. He subsequently moved to FC Bayern München, winning the treble with the Bavarian giants in 2013, before joining Fiorentina that summer. The son of a Spanish father, Gomez scored two goals for Germany at UEFA EURO 2016 and has won a total of 68 caps for Die Nationalmannschaft, scoring 29 times.